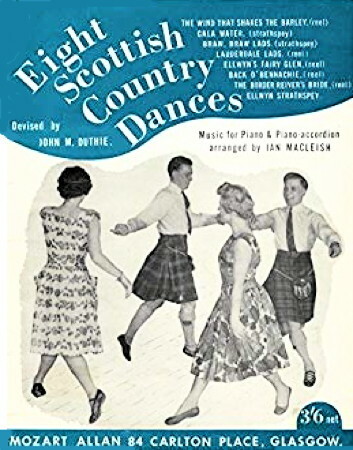 Information: John M. Duthie (1873-1951), author of song books and books about Scottish dance. A Complete Guide to Scottish Country Dancing. Anderson, Allie, and Duthie, John M. Edinburgh: McDougall's, circa 1930, 47p. Emphasis on styling with but 2 dances and music; not in total agreement with contemporary RSCDS dogma. Eight Scottish Country Dances. Duthie, John M. Glasgow: J. M. Duthie, n.d.